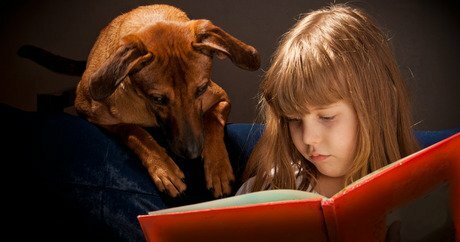 Having a child read aloud to a dog or cat on a nightly basis will help the pet’s socialization and improve the human’s reading skills. Want to earn extra credit in school and help animals? With a handful of your classmates and teachers, it’s quite possible. You can even host a school-wide event. In addition to earning school credit, you and your classmates will bond over your shared passion for animals, and several dogs and cats will reap the benefits too. You can start by forming an afterschool club. Before you talk to your teachers, be prepared by visiting the Human Society of the United States online website. They have lots of information on how to get started. By opening a dog park in your community, you are learning about local government and the steps one has to go through to get town approval. This is a perfect lesson for a history class. You and a few of your classmates can visit with your town’s city planners on how to get started. You can also invite a city planner to your school to talk about how to go about getting approval and permits to build a dog park. Follow that up by talking to architectures who planned dog parks in nearby towns. These architects can also visit your school to talk to you, your teachers, and your classmates. Invite a veterinarian or vet tech to your classroom to talk about why spaying and neutering cats and dogs are essential. Ask an animal behaviorist or zoologist to talk to your science class about the behaviors of various animals. For school credit, you can write a paper on the talks. This is especially good for elementary school students who are having trouble reading and older students who want to improve their public speaking skills. By reading aloud to a dog or cat, you are helping to socialize that animal. In addition, dogs and cats won’t judge your reading skills. You will build confidence, and your speaking skills with improve. Talk to your local animal shelter about setting up dates and times when you can read to their shelter cats and dogs. After reading aloud for a handful of weeks, your teachers will be sure to notice an improvement in your oral and reading skills. You can start a photography club at your school, if you don’t already have one. Animal shelters are in need of good photographs of adoptable pets, so this is a great way to improve your photo skills. By taking pictures of cats and dogs who are available for adoption, you can place the photos on your Facebook page or donate the photos to your local animal shelter for them to post. A good photo can really make shelter pets more appealing. When your classmates who are good photographers go to shelters to take photographs, go with them and bring something to write with. Interview shelter workers who know the animals in their care. Either on school time (with your teacher’s permission) or at home, write descriptions about the cats and dogs who are up for adoption. You can tell their stories — how they got to the shelter, and play up their charming personalities. Be honest, and tell your readers which pets need extra love. These stories can be sent to your local newspaper or community website. You can post brief descriptions on your Facebook page. You can also give your descriptions to the shelter workers for them to post at the shelter. This way visitors will get a good idea about the personalities of each pet. This is a great alternative to gym. Host a walkathon to raise money for your local animal shelter. Recently, a 10-year old New York resident organized a walkathon to benefit Best Friends Animal Society. Ask your classmates to donate one gift to their local animal shelter. It can be a bag or can of pet food, a toy, or blanket. You can also make your own dog and cat toys. Bideawee has numerous suggestions that are easy to follow. For more ideas on how to help animals, check out the ASPCA’s website on volunteering.